This content is provided by Arnoud Boorsma. Arnoud Boorsma is a public law specialist. 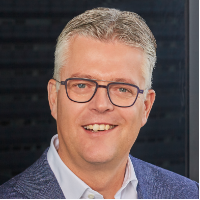 From 2012 to 2018 he combined his legal practice with membership of the board at Pels Rijcken, where he was responsible for strategy, know-how and ICT, marketing & external communications and training programmes. As a lawyer he specialises in general administrative (procedural) law and in supervision and enforcement, with a particular focus on the telecoms sector and the public and commercial media sector. Arnoud represents clients in complex decision-making processes that often transition between the legal, political, administrative and economic areas. Apart from the fact that Arnoud is especially accomplished substantively, he also sets great store by good contacts with his clients. He has been the lead counsel in a major number of actions, mainly revolving around administrative law. His deep experience of litigation, coupled with his wider knowledge of public law, provides him with an unequalled ability to perceive how courts are likely to view issues of regulation, supervision and enforcement. Arnoud also represents supervisory authorities. Arnoud regularly shares his knowledge with the public.